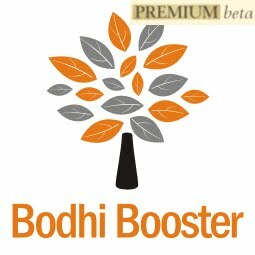 Welcome to Bodhi News for 03 May, 2017 - from Bodhi Booster knowledge portal! 1. World politics – US President Donald Trump and Russian President Vladimir Putin discussed the humanitarian crisis in Syria during a telephonic conversation between the two leaders. This was the first conversation between the two leaders after the US launched a Tomahawk cruise missile strike in Syria last month. Both countries expressed interest in working towards a cease-fire in the region. Read more on it using the links given here, here and here. 2. World politics – Amid rising tension in the Korean peninsula, US President Donald Trump eased his tough stance against North Korea and offered to meet North Korean leader Kim Jong-Un under certain circumstances. The outreach came even though North Korea has repeatedly rebuffed Washington and continues to provoke the U.S. It is a shocking development for law-abiding democratic governments across the world, including India. Read more on Kim family, here. 3. Events – World Press Freedom Day is observed on May 3 to celebrate fundamental principles of press freedom. UNESCO leads the worldwide celebration. Underlining the importance of a free press, Prime Minister Modi said it is a day to reiterate our unwavering support towards a free and vibrant press, which is vital in a democracy. 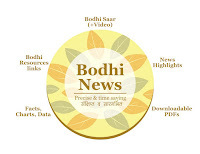 Read more on various issues related to freedoms here. 4. 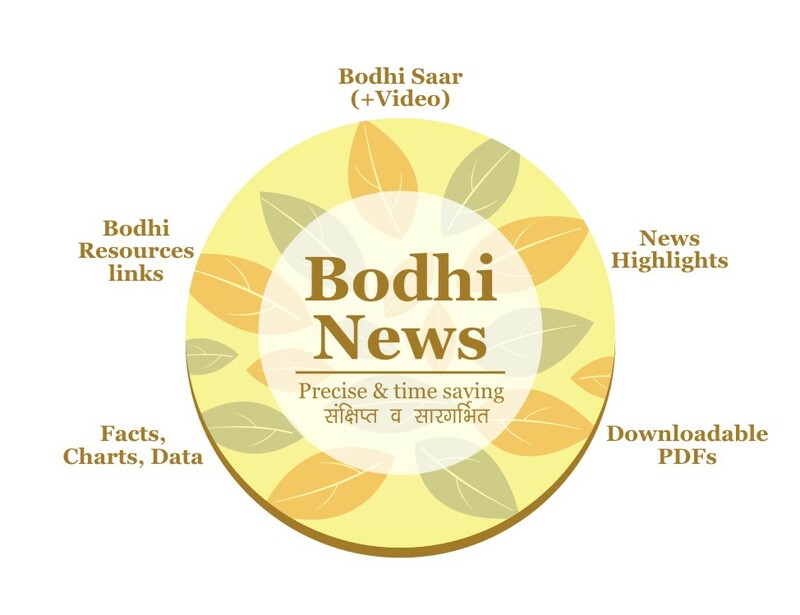 Constitution and law – The Supreme Court will hear a petition challenging the government's decision of making Aadhaar mandatory for PAN and also for filing tax returns. The government had earlier decided to make Aadhar mandatory for PAN and also for filing tax returns citing that the step was taken to curb the use of fake PAN cards. Read all about Aadhar here and here. 5. Constitution and law – Madhya Pradesh has become the first state in the country to change financial year to calendar year i.e. January – December, starting 2018. The decision comes after Prime Minister Modi last week pitched for shifting financial year to January – December during his address at the NITI Aayog Governing Council meeting. Read our Specials on NITI Aayog here. 6. World politics – After Australia scrapped the 457 visa facility, which largely affected Indians, Prime Minister Narendra Modi, in a telephonic conversation with his Australia counterpart Malcolm Turnbull expressed concern about the possible impact of the changes in the skilled professionals’ visa programme on Indians. The two leaders agreed to remain in close contact over the issue. Indian IT is in a mess, and more reading material available here and here. 7. Education – In a bid to incentivize excellence in higher education, the government plans to ensure that top colleges and universities in the country enjoy full autonomy in framing curriculum and hiring faculty. HRD minister Prakash Javadekar said the higher education regulators UGC and AICTE require reforms. The new move is intended to incentivize research, innovation and quality learning. Read about the ranking system here. 8. Companies, products, services – Amid concerns over H-1B visas, Indian IT company Infosys has decided to hire 10,000 American workers over the next two years and will open four technology centres in the United States as a part of the plan to increase local hiring in the US. 9. Infrastructure – India’s railroad network has struggled to match the country’s fast pace of economic expansion. Now the government plans to auction one of its largest Public Private Partnership (PPP) projects that entail redeveloping the country’s 25 most prominent railway stations at a minimum investment of Rs. 30,000 crore. The bidding process will start soon. 10. Defence and military – The Indian Army reacted strongly to Pakistan’s dastardly act of mutilating bodies of two Indian soldiers in the Krishna Ghati sector along the LoC. The Vice Chief of Army Staff Sarath Chand said they will have to take the responsibility and face consequences for it. He further said that the Indian Army will respond at a time and place of its choosing. Read all about Indian defence forces here and here. 11. Regional politics – Responding to Turkish President Erdogan’s remarks of a multilateral solution to the Kashmir issue, India firmly told the Turkish President that Kashmir was a bilateral issue between India and Pakistan, and that India was willing to settle outstanding issues bilaterally. Erdogan, however, backed India’s fight against terrorism. Read our detailed analysis here and here. 12. Defence and military – Pakistan army sneaked into Indian territory in the Krishna Ghati sector in Poonch district and beheaded two Indian soldiers. The provocation led the two armies to escalate their exchange of fire. Government sources said that the army has been given a free hand to respond. Read more on defence and military issues here and here. 13. Companies, products, services – State Bank of India cut term deposit rates by up to 50 basis points. Deposits of two-to-three years maturity will now generate returns of only 6.25% as against the 6.75% earlier. Other banks are also likely to cut their deposit rates soon. Read more on Banking sector and related issues here. 14. World politics – Amid mounting tension between North Korea and the US, President Trump said he was ready to meet the North Korean leader under right circumstances. Meanwhile, North Korea said it would continue its nuclear weapons tests. White House later clarified North Korea would need to clear many conditions before such a meeting could be made possible. Read everything you needed to know about this issue here. 15. 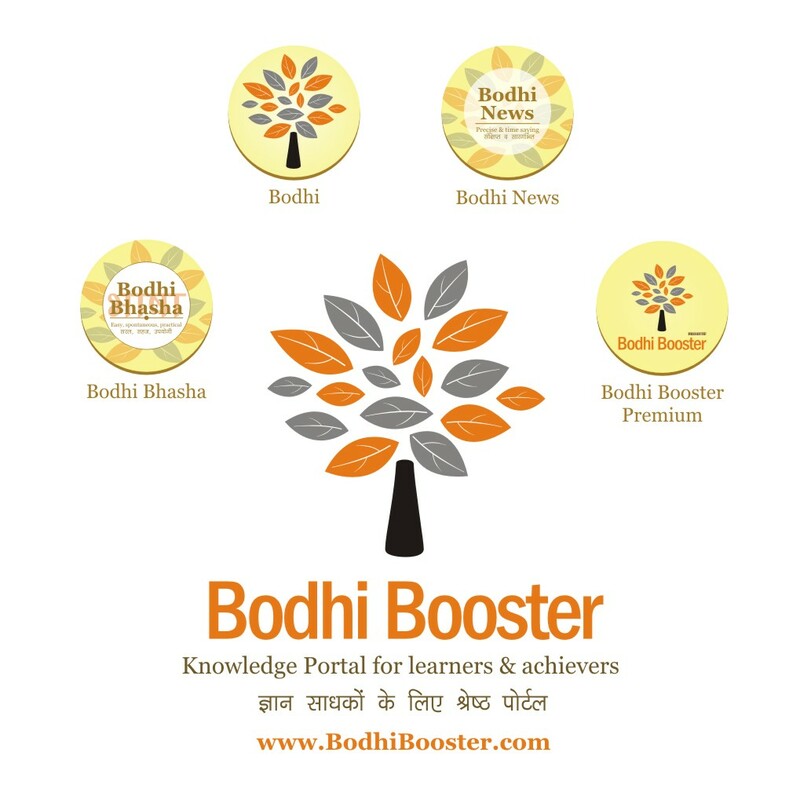 Science and technology – This week’s space mission, GSAT-9, or the South Asia Satellite will carry a new feature in the form of electric propulsion (EP) system that will eventually make advanced Indian spacecraft much lighter and reduce launch costs substantially. The hardware is the first on an Indian spacecraft. Read more on ISRO here. 16. Constitution and law – The Supreme Court ordered a medical checkup of the mental health of defiant Calcutta High court judge Justice C S Karnan. The Supreme Court directed Bengal police to form a special team to ensure that Justice Karnan appears before a medical panel. The court also took note of his recent order imposing a travel ban on the seven SC judges despite being stripped of judicial work. Read more on constitution and law here and here. 17. Environment and ecology – Carbon dioxide levels in the atmosphere went past 410 parts per million (ppm) to reach a new, but immensely worrying peak. Atmospheric carbon dioxide concentrations are now at the highest level in at least 3 million years. In the last couple of years, they have increased faster than ever before. Read more on climate change and related issues here, here and here. 18. Indian economy – According to rating agency ICRA, even as the Real Estate Regulatory Act (RERA) came into effect, delays in issuing notifications and non-uniformity of rules across states may dilute its effective implementation. So far, only seven states have notified the required rules. The deadline to notify rules under the Act was October 31, 2016. Read all about RERA here. 19. Indian politics – The Election Commission has cancelled the Anantnag Lok Sabha by-elections in Jammu and Kashmir due to security reasons. The by-elections were scheduled to be held on May 25. The new dates would be announced later. The EC, in a statement said that law and order situation was not feasible to hold free and fair elections. We cover 3 major issues today - (1) Indian IT, (2) UBI in India, (3) India - Pakistan conflicts' history. Enjoy the learnings!